As London’s pioneering boutique gin distiller, Sipsmith helped spark the craft spirits revolution in the UK. In the early 19th century, portable stills were the bane of HM Customs and Excise in its battle against illicit distillation. Excisemen would raid a Highland bothy after a tip­off, only to find the bootleggers had bolted on horseback, dragging their pot still behind them. At some point, so the story goes, Edinburgh’s chief excise officer – a distiller on the side – looked at his own 400­-gallon (1,800-­litre) still and declared that henceforth anything smaller would be illegal. This became law. His enthusiasm for the craft revolution was shared by his friend Fairfax Hall, who was then on a Diageo-­sponsored MBA in Pennsylvania. 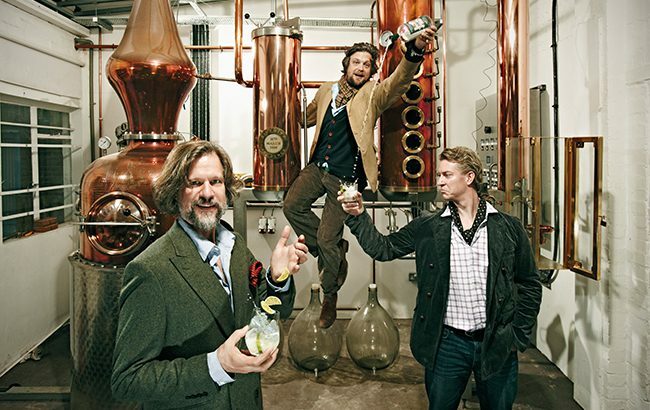 “We’d always grown up on gin, and suddenly saw this gaping hole of an opportunity, with gin begging to be re­-inspired,” Galsworthy says of their discussion to set up Sipsmith in London in 2006. That said, it wasn’t quite the gin desert of previous decades when Gordon’s and one or two others continued their stately decline beneath the waves of vodka. Hendrick’s had been around since 2000. However, thanks to that Edinburgh excise officer, there were no US-style craft distilleries in Britain at the time. It took almost two years of lobbying for parliament to overcome its phobia of portable stills, though when it did, Sipsmith received a scruffy sheet of A4 with ‘distillery licence’ scribbled in biro. No doubt that will be changed to a parchment scroll and wax seal if Hollywood ever retells the tale. Sipsmith has always been a London Dry gin, which, despite the name, can be produced anywhere. Yet the brand, whose original distillery was in Hammersmith before moving to neighbouring Chiswick, could never come from anywhere else. “It’s great to have a London Dry gin that’s genuinely made in London in the way it used to be,” says Galsworthy, who began supplying the city’s five­-star hotels from his scooter. Wobbling and weaving through the city streets with five cases of gin wasn’t part of the original business plan but, unfortunately, no wholesaler could be tempted. Eventually, having built up around 100 steady accounts, Coe Vintners lent a hand, while foreign importers began buying the odd pallet – or rather more in the case of Australia. 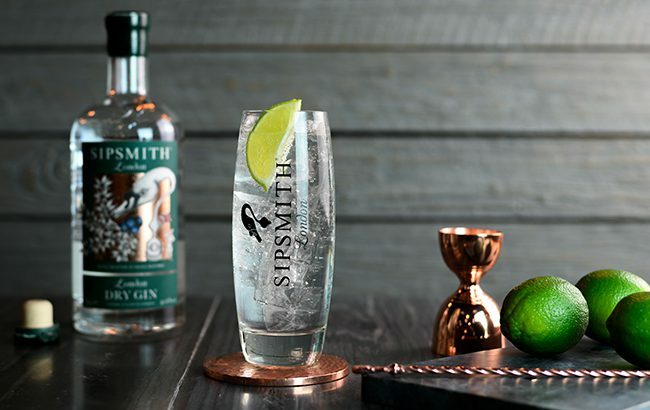 By 2016, Sipsmith had 35 staff and was growing at 60%­70% a year, with exports at 30%, but: “The reality was we were struggling on the international stage,” says Galsworthy. “To get a share of voice or any sense of priority is so difficult, even if you are the founder. It became apparent that we needed to do more than plant flag poles. We were in danger of not realising our mission – to be available in a meaningful way in all four corners of the world, and to be around in 200 years’ time – if we didn’t move quickly.” So Sipsmith sold a majority stake for a reported £50 million to Beam Suntory, which appeared to offer the best fit among various suitors. Corporate giants like Beam Suntory could obviously start their own small brands, but it’s not something that comes easy. “Every one of them would admit they’re not going to be as good as people who are unshackled and enabled by an entrepreneurial spirit,” says Galsworthy. Curiously he refuses to take the credit for having the potty pot still law overturned, yet he and his co­founders certainly influenced the decision. Without Sipsmith the UK boom in craft spirits could have been something of a damp squib. Click through the following pages to see the timeline of Sipsmith’s brand history. It’s incorrect that any law was changed for a rectifier’s licence to be issued by HMRC in the case of Sipsmiths or anybody else. The Commissioners of HMCE/HMRC have never had powers to refuse an appliction for such a licence under ALDA s18. What seems to have happened is HMRC confused that section of law with ALDA s12 which provides limited discretionary powers for the Commissioners to refuse a DISTILLER’s licence where the largets still is less than 18hl. This is only discretionary and any policy must be operated reasonably. I, in fact, changed the policy back in 1997 when in Customs’ HQ to ensure HMRC acted reasonably in considering all such applications and by changing policy I changed tertiary law. It seems HMCE/HMRC did not recognize the law – they are doing so now. There are a lot of myths and legends about such matters.